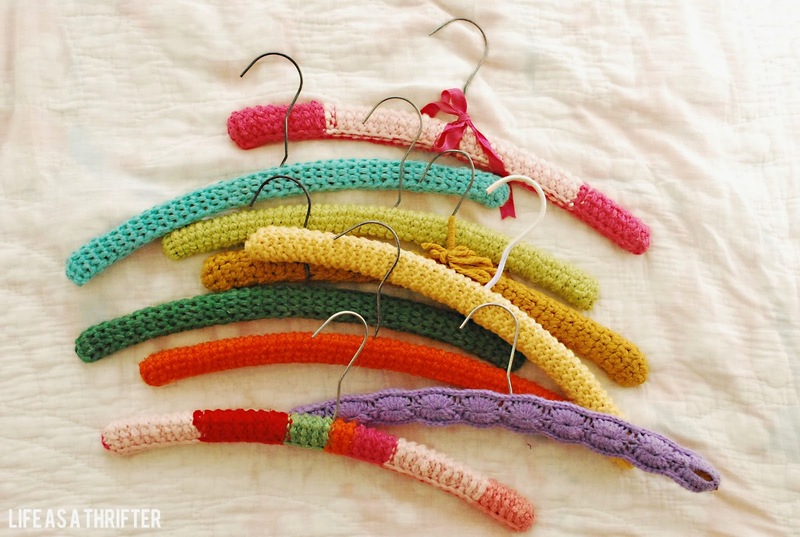 One of my most favorite finds from last week had to have been these sweet, little crocheted hangers. We saw them piled in a basket on the ground with a signed that read, $1 each. After my heart skipped a beat, I quickly collected them up. I know what you mean! I kinda wish I would have gathered up MORE just for that! 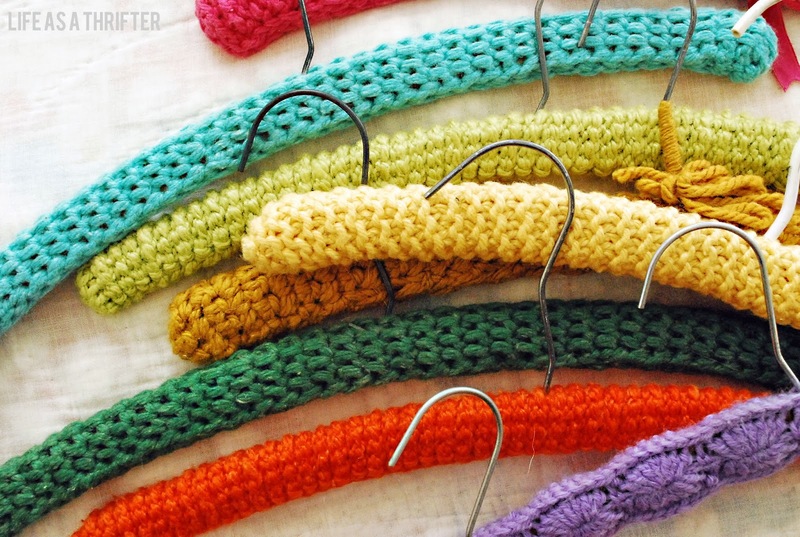 Lobe love love crochet hangers. My grandma made these for us and now they are such a happy reminder of her in my closet. And they really are the best hangers. My hubby and I fight over them. That's so wonderful! How fabulous to have such a sweet memento of her.